Caption - VFCO 2-8-0 no. 69 (Baldwin 14134/1894) is steam on the depot at São João del Rey in 1978. 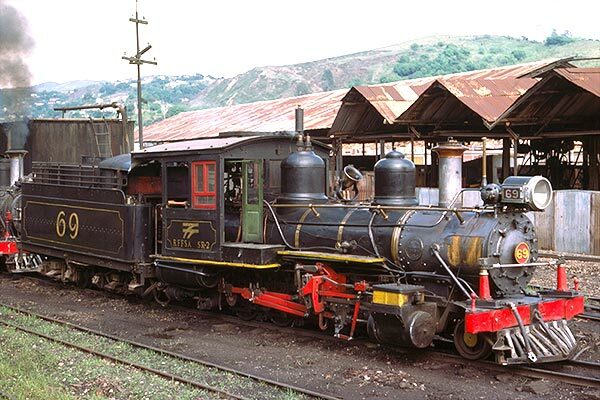 This superb Brazilian 2-foot 6-inch gauge system reached a zenith with 482 miles of route with a small part of the railway now preserved with regular steam operation. As far as is known, no.69 is displayed at the roundhouse.